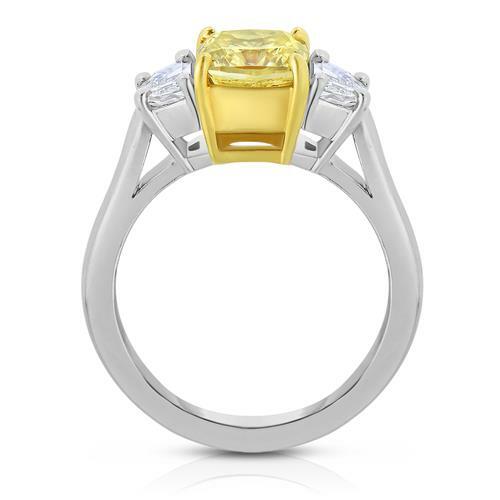 Yehuda 3 Stone engagement ring with natural color Fancy Intense Yellow center stone. 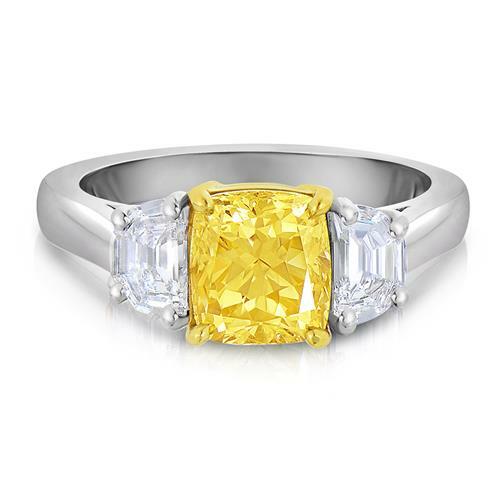 The center Cushion Cut weighs 2.02 cts., color is natural Fancy Intense Yellow and clarity is SI1 and is certified by Global Gem Lab. 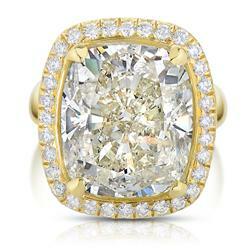 Accompanied by a pair of Trapezoid shape white diamonds at 1.06 carats total, F color, SI2 clarity. 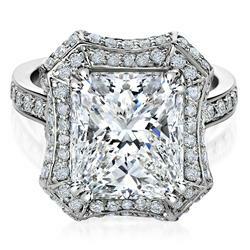 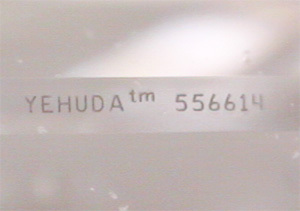 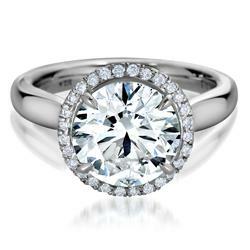 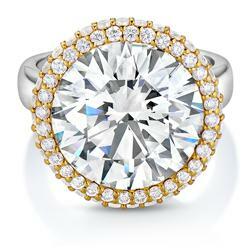 All diamonds are Yehuda clarity enhanced diamonds. 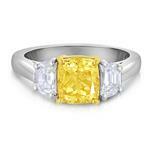 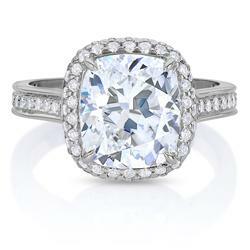 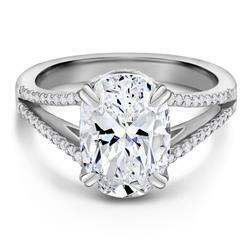 Product Number: DCUGFIY294P Total Weight: 3.08 CT.